The Blot was super excited to learn that Hot Toys was continuing their awesome Artist Mix Collection, with a new release by Hong Kong artist Kenny Wong of Kennyswork! Hot Toys’ Artist Mix Collection Series spotlights different artists and designers from various genres and invites them to reimagine iconic movie characters in their unique style. 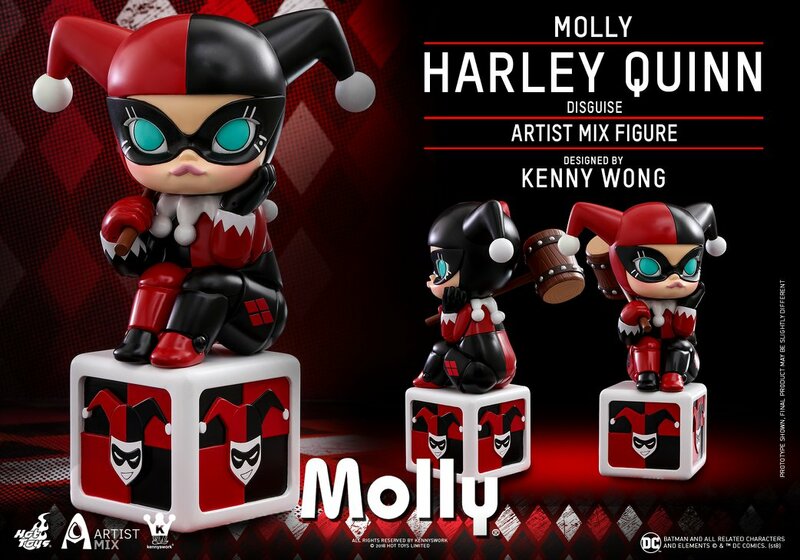 For this release, Kenny has transformed his signature character, Molly, into DC Comics’ Harley Quinn from the Suicide Squad! How cool is that?!?! 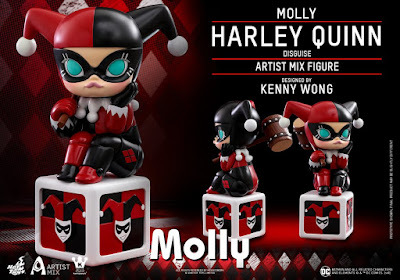 The Harley Quinn Molly Artist Mix Figure stands 23cm tall and does an amazing job recreating the Batman villain in Kennyswork’s distinctive art style. 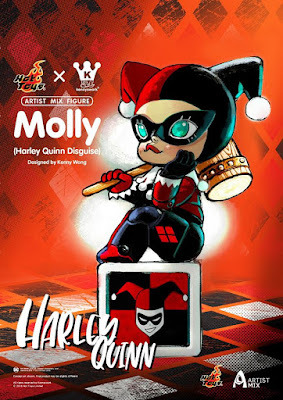 Molly is a confident, independent, and courageous every girl who comes dressing up in Harley Quinn’s iconic black and red jumpsuit sitting on a Jack-in-the-box and holding Harley’ signature mallet. 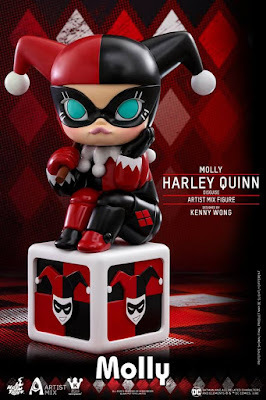 This unique Molly in Harley Quinn Disguise Artist Mix Figure will be nice additional for any stylized artistic figures collectible fans out there, but it will only be available in selected markets. So good luck hunting this one down!